Help Us Keep the Horses Healthy, Fat and Happy! The number of horses that are permanent residents at the ranch because they aren't adoptable due to their special needs is around 40 right now. The number fluctuates somewhat through the year, but it's always close to this. They need to be fed twice a day and that adds up to a lot of hay. The cost of hay varies, depending on a number of factors, but on average we spend approximately $3,500-$4,000 each month. This does not include grain or supplements. 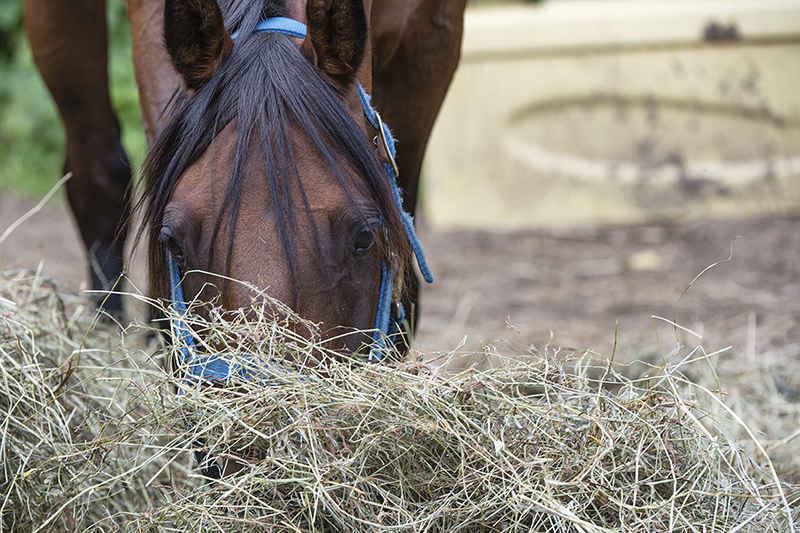 Hay and other feed is one of the largest expenses for us. This is why we established a Hay Fund. When you donate through this page, your gift is earmarked to buy hay. Nothing else. It's a way we hope to ensure we always have funds available to keep a fresh stock of hay on hand throughout the year. And now that our new Hay Barn is complete, we have a proper storage facility for it! Please donate to to this Hay Fund and help us keep our horses healthy, fat and happy! *NOTE* We are a 501(c)(3) nonprofit organization that is 100% dependent on donations to support our mission of rescuing and rehabilitating abused and abandoned horses. I love what you do, & will do my small part to help!